Tailgating is a common (yet avoidable) driving hazard that puts the safety of drivers, passengers, and pedestrians at risk for serious injuries. Tailgating and other forms of aggressive driving are caused by careless drivers who can be held liable for the injuries and damages they cause to others. Working with an experienced personal injury lawyer helps you get the highest compensation for your personal injury claim. This lets you recover losses related to your injuries and achieve financial security for you and your family. Tailgating occurs when a vehicle behind yours is traveling too closely. This reduces the space needed to avoid a collision and the reaction time that drivers need in case you suddenly stop. Tailgating is illegal under Georgia law, but there’s no specified distance to define when a driver is too close to another vehicle. The law only requires a “reasonable” distance between the two automobiles. Tailgating can also be caused by distracted driving or poor visibility due to weather conditions. Drivers should modify their speeds and distances to avoid tailgating accidents. Your attorney can help you demonstrate negligence or reckless behavior of another driver so that you obtain the compensation you deserve. Tailgating causes injuries that lead to short- or long-term disabilities. In some cases, they can even result in fatalities that devastate the lives of entire families. Common injuries include bruising, lacerations, bone fractures, spinal cord or brain injuries, and injuries to internal organs. These can lead to other health problems that require ongoing medical treatments. The loss of income and earning capacity can put your family at financial risk. Taking these and other damages into account helps you determine the true value of your personal injury claim. 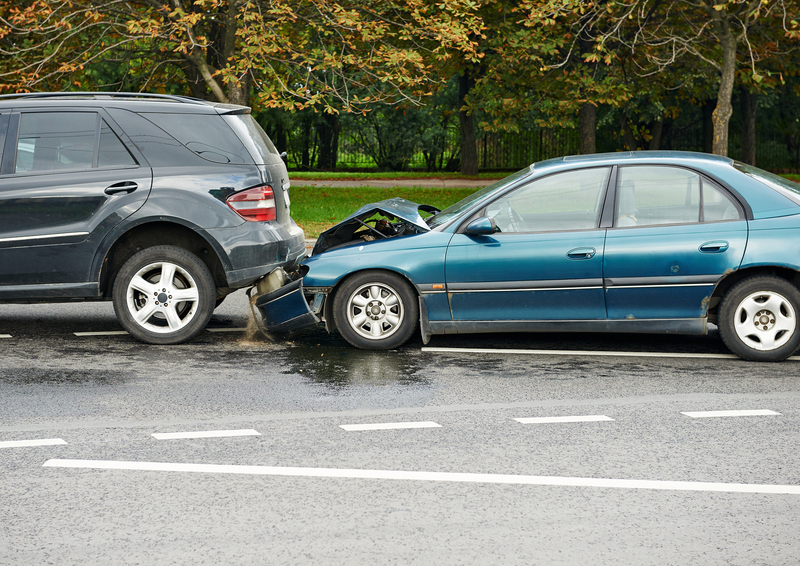 Drivers who collide with the vehicles in front of them are usually considered to be at fault. But demonstrating that a driver was tailgating can establish liability and will influence the compensation you receive. The right personal injury lawyer helps you recover the losses related to your accident. In addition to injuries, the damages resulting from tailgating include medical expenses, property damage, and lost wages. You can recover these losses and obtain compensation for your pain and suffering by filing a personal injury claim against the other driver. But insurance companies often do their best to avoid or minimize compensation made to victims of tailgating accidents and other types of collisions. Filing a lawsuit may be required, and you’ll need to have the best legal resources in place to achieve a successful outcome. You and your attorney will need to prove negligence and demonstrate the driver’s legal duty to keep you and other drivers safe from harm. Any breach of that duty is necessary to receive compensation for your injuries and damages. Medical records, police reports, and other evidence will support your claim. Future medical needs and the inability to earn an income can also be factored into your personal injury claim. Tailgating is a common roadway hazard that many drivers fail to recognize, leading to accidents that injure drivers. Understanding the legal process is critical to recovering from your injuries and getting compensated for your damages.